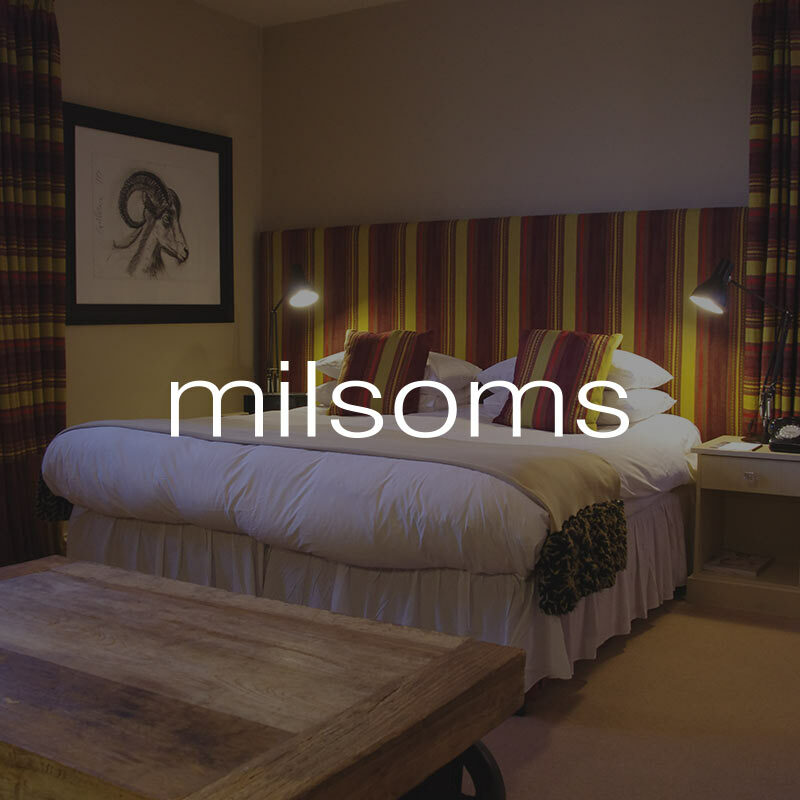 It’s easy to book and stay at our Milsoms hotel. 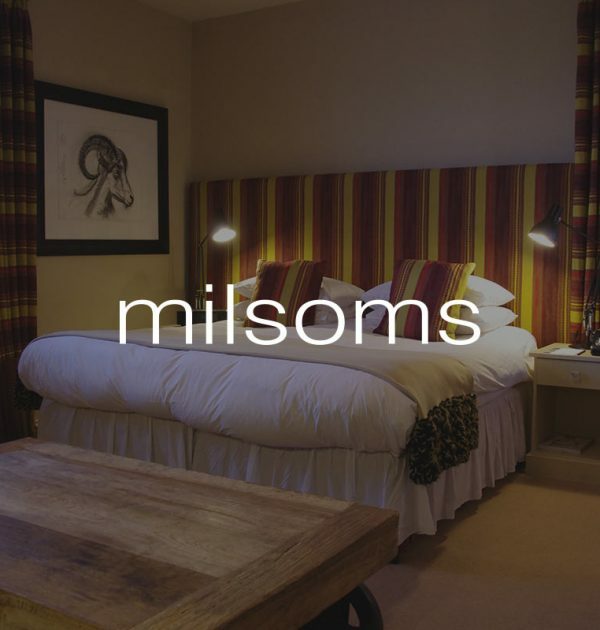 The 15 bedrooms are quiet and relaxed with super comfy beds and lovely design features. Every room has Sky In-Room – giving you complimentary access to all Sky channels (in HD) and a mini bar that’s stocked with complimentary soft drinks. The best coffee and tea ingredients are included, along with fresh milk. There are great food options within the menu for breakfast, lunch, dinner and snacks. We were established in 2001 and whilst staying with us, you’ll be able to enjoy our bar, restaurant, lounge and terrace. We’re surrounded by picturesque walks through Dedham Vale and we have a bicycle and canoe hire service – just let us know on arrival and we’ll organise the rest. Round the corner is our Le Talbooth restaurant, with riverside dining every day of the week. Enjoy a 1-night stay for 2 people, including full English breakfast, for just £135. Enjoy a 3-course lunch or dinner for 2 people for just £70. Choose 3 courses from the full restaurant menu (food only).